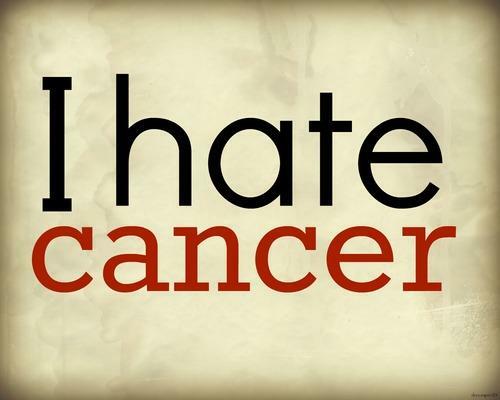 This is my story: "F*ck Cancer!" Diana suffered from breast cancer and has a message for us: no, it's not the best thing that ever happened to her! This is her story. During my chemotherapy, I experienced a moment of solitude my network of friends has changed dramatically, I had very few calls from my colleagues, and my family was not as present I would have liked. In addition, the person I was for some time left me unable to cope with the situation. And yet, it was not the worst time! At first I was very focused on my fight against the disease. I was looking after me, keeping in mind the idea of ​​taking my life exactly where I had left it: I occupied a key position in a major company in the field of the show when I received the diagnosis cancer. I was a permanent employee for several years, having long worked as contractual. I loved my job, which allowed me to travel, meet interesting people and be creative. 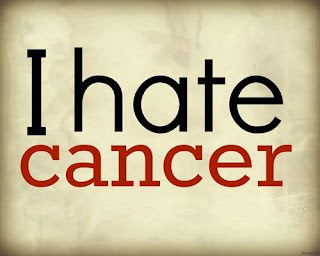 After 10 months of absence, so I found my post with will be even stronger and more powerful than before, as if to say that the cancer had not been a parenthesis in my life. On returning to the office, I quickly found that nobody had decided to celebrate my return. Each was as if nothing had happened. I understand that the disease puts people uncomfortable, but this silence was deeply hurt. So I did my progressive return several weeks in an atmosphere a little tense. Then, after some time, I began to experience symptoms that I did not understand: accelerated menopause, heat, anxiety, insomnia. The doctors told me that I had thyroid problems and I suffered post-traumatic stress as a result of my cancer and chemotherapy. "Your problem is that you behave as a victim you", then told a colleague. I could strangle him! Yes, I was a victim, a victim of cancer. It is not a question of behavior! To help me adjust to everything that had happened, I began to follow a therapy with a psychologist specialized in oncology (a research center on breast cancer gave me the consultations). I then realized that I was doing a depression. Then, I went to meet someone from human resources to try to find a solution to the discomfort I felt in the team since returning. It's been a big mistake. My health has been trivialized by the person that I saw, and information that should have remained confidential were probably made in high places. But I'll never be sure. Anyway, I was fired. The reason? According to management, I was unable to keep pace with rampant expansion of the company. But I had worked as a frantic since my return! I had the impression of receiving a stab wound in the stomach. I was in remission, but all that had happened at work had plunged me into an existential crisis. Despite myself, I was influenced by the prevailing discourse: I thought after defeating the disease I would be a woman more fulfilled, happier. A close friend even told me: "It will give you mature." Well, not at all! Yes, my values ​​have changed since that event: the performance at all costs to work, in particular, is less important than before to me. But in life, I'm still as passionate and impulsive a teenager!